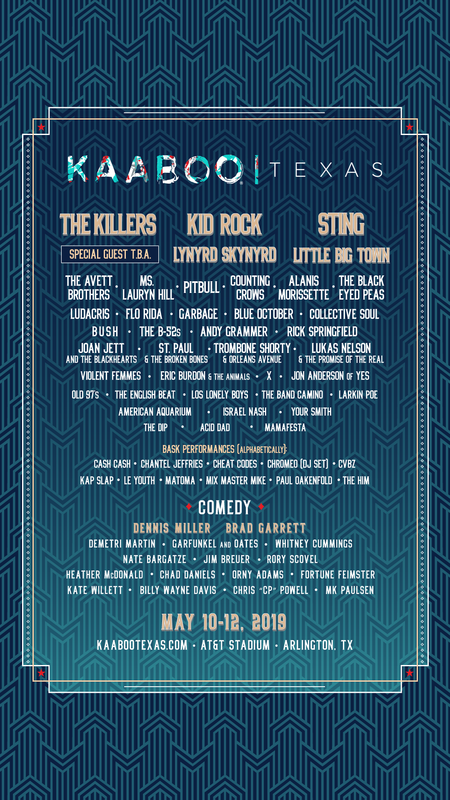 KAABOO has announced it’s latest festival, KAABOO Texas taking place May 10-12, 2019. 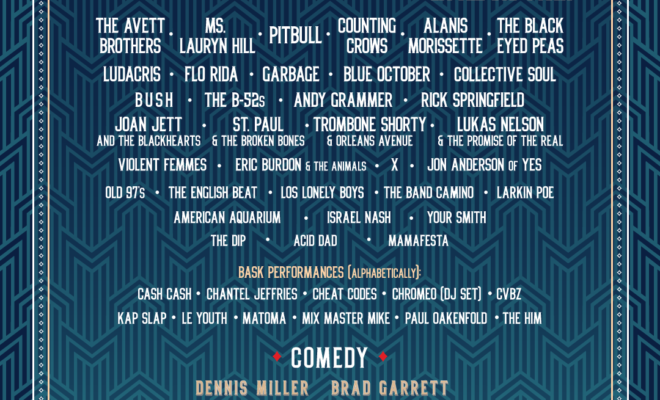 The one of a kind music, comedy, and art festival will take place at the state-of-the-art AT&T Stadium, both inside and outdoors allowing guests to move freely throughout the property. Headliners including rock chart toppers The Killers, Top 40 crossover artist Kid Rock, 16-time Grammy award winner Sting, will be joined by classic Southern-Rock legends Lynyrd Skynyrd, and platinum-selling country music artists Little Big Town. 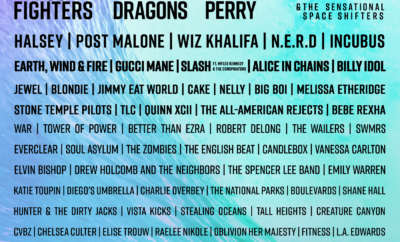 KAABOO has made a name for itself not only as a top tier music festival, but as an immersive experience for all five-senses. In addition to big-name music headliners, guests will be exposed to cutting edge contemporary art exhibits at ARTWORK; hilarious household name comedians at the seated and air conditioned HUMOR ME comedy stage; enticing culinary and craft beverage offerings at PALATE; a full spectrum of INDULGENCES for which KAABOO has become famous; and the ability to purchase a cabana or day pass to BASK Day + Night Club, KAABOO’s on-site Las Vegas-style pool club. At BASK, guests will enjoy prime poolside panorama of DJ performances from internationally acclaimed DJs including Cash Cash, Cheat Codes, Chromeo (DJ Set), Le Youth, Paul Oakenfold, and more. Taylor Swift Added to 2016 GRAMMY Performers!